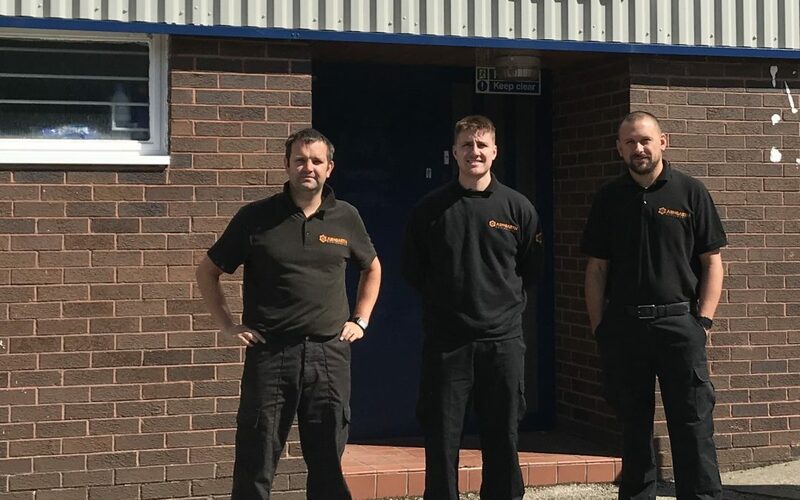 In our latest Spotlight On feature, we chat to CDEMN member Ashgarth Engineering, the Consett-based manufacturer of precision-machined engineering parts. The company has grown significantly since launching in July 2017 and to support its ambitious plans for continued growth, it has signed up to exhibit at this year’s EMCON Incubator Zone. Here Leanne Fawcett chats to owners Niall Ash and Paul Westgarth. Tell us more about why you decided to launch the business. Both Paul and I had both worked in the engineering industry for over 10 years but were employed at different companies. At my last job I started thinking about launching my own business and when we started working together in 2016, it was something Paul and I spoke about. From those conversations we decided to go for it, and in July 2017 the business was formally registered, and a month later we purchased our first machine. This was followed by us securing our BSI accreditation at the start of this year, which is obviously a massive thing for us and our ability to secure bigger contracts. It’s been a great start for Ashgarth Engineering hasn’t it? N. It has yes. We set ourselves targets for what we thought was realistic in year one, given we initially only had one machine. But looking at our turnover, we’ve certainly beaten those and have built up our client base with regular and project work. We also count clients beyond the North East as customers which is fantastic. Now that we’ve got three machines, two of which have been made possible thanks to the help we’ve received from HSBC and the European Agricultural Fund for Rural Development, our growth plans have been accelerated; we’re excited for what the future holds. Tell us more about the support you’ve had to purchase the machines. Our bank, HSBC, has been so supportive of our plans and their loan enabled us to secure the grant through the rural fund, as we needed to provide match funding and without the bank’s help we wouldn’t have been able to. These machines have increased our capacity significantly and means that each of us can run a machine and there is no downtime, which also enables us to actively pursue contracts. You’ve also added to the team, haven’t you? Yes, as we started to grow we knew we needed support, so in June we brought in Ben, who has been such an asset to us and is really growing with the company. We also have plans to recruit an apprentice in 2019 so have started looking into our options as far as recruitment and support. It might Paul and I won’t have to work such long hours too – that would be nice! To support your plans, you’ve signed up to exhibit at EMCON. Tell us more about that. The event was mentioned to us by Ben Gilhespy from CDEMN, and although we’ve never been to it before, it sounded like the perfect platform for us to promote our business and meet companies within the engineering industry. Ben mentioned the Incubator Zone and after having a chat with Business Durham and LEC, we decided that was the ideal opportunity for us to dip our toes in, with invaluable support as events are not something we’ve done before. For us, it’s the right time to take to the business to market, as with our increased capacity we’re now in a position to win more work.